SACRAMENTO, Calif. and GUANGZHOU, CHINA /California Newswire/ — Today, the Governor’s Office announces that on day six of California’s trade and investment mission to China, Calif. Governor Edmund G. Brown Jr. committed to building stronger ties with China’s most populous and economically productive province, Guangdong. In Guangdong’s capital city on Monday, Governor Brown spoke at a forum hosted by the American Chamber of Commerce – South China, met with Guangdong’s Governor and Party Secretary and announced two agreements between California and Guangdong to further strengthen cooperation on trade, investment and climate change. Today’s meetings and agreements build on the partnership established when Governor Brown met with Hu Chunhua, who was then Party Secretary of Inner Mongolia and is now Guangdong Party Secretary. The meeting came in February 2012 during the then-Vice President of China’s visit to Los Angeles. Guangdong is China’s most populous province – with more than 100 million people – and the largest by GDP – at nearly $1 trillion. It is also the home province of many of California’s Chinese immigrants. The agreement, signed by Governor Brown and Guangdong Governor Zhu Xiaodan, is the first between California and Guangdong province, and formalizes cooperation on trade and investment, science and technology, environmental conservation, education, tourism and culture. California Environmental Protection (CalEPA) Secretary Matthew Rodriquez also joined his counterpart, Guangdong Development and Reform Commission Director-General Li Chunhong, on Monday to sign an agreement to advance collaboration on climate change, namely low carbon development between the two regions. Guangdong is one of six provinces and municipalities that will participate in the China-California Joint Working Group established last week with the Ministry of Commerce to bolster trade and investment ties between California and China. On Sunday, the Governor visited California’s Chinese sister-state, Jiangsu, and signed an agreement to partner on climate change, technology, education and tourism with the province’s top government official. Last week, Governor Brown traveled to Shanghai, Governor Brown opened the California-China Office of Trade and Investment, spoke at Visit California’s news conference and met with Shanghai’s top government official, Party Secretary Han Zheng. This followed a number of events in Beijing earlier this week, including remarks at Tsinghua University, meetings with China’s Premier, Minister of Commerce, Minister of Environmental Protection, Chairman of the National Development and Reform Commission, a forum with the American Chamber of Commerce – Beijing and a reception at the U.S. Embassy in Beijing with the U.S. Ambassador to China. Tomorrow, the last day of the Governor’s trade and investment mission, the Governor will travel to Shenzhen for a meeting with senior government officials and a tour of BYD’s Worldwide Headquarters. The Governor’s trade and investment mission follows more than a year of significant diplomatic and business exchanges between the State of California and China. In February 2012, Governor Brown welcomed His Excellency Xi Jinping, then-Vice President, and now President of China, to California. During the visit, Governor Brown announced his intention to visit China, open a trade and investment office and form a China-California Joint Task Force to drive more collaboration, investment and trade between California and China. Later in 2012, the Brown administration convened the inaugural Joint Economic Committee between California and China’s Jiangsu Province, hosted a Chinese delegation led by the Vice Minister of China’s Ministry of Commerce and met with a Chinese delegation led by Deputy Governor Xia Geng of China’s Shandong Province. Joining the Governor on the trade and investment mission is a delegation organized by the Bay Area Council that includes approximately 90 business, economic development, investment and policy leaders from throughout California. Senior administration officials are also accompanying the delegation. The State Government of California and the People’s Government of Guangdong Province have designated the following organizations as the primary liaison offices for both sides respectively. The liaison offices will meet to discuss the progress of ongoing programs when necessary. This MOU shall come into force on the day of signing by the official representatives of both governments. Signed in Guangzhou on the fifteenth day of April 2013, this MOU is written in English and Chinese languages, both in duplicate and deemed equally authentic. Governor, Edmund G. Brown Jr. This purpose of this Memorandum of Understanding (MOU) is to support efforts between the Parties to help each achieve its low carbon development goals. This MOU establishes a fundamental framework for the Participants to carry out pragmatic exchange and cooperation based on the principles of equality and mutual benefits and is not intended to give rise to legal binding rights or obligations. 10. Trade and investment in low carbon technologies. 6. Other forms of collaboration as agreed upon by the Participants. 1. The Participants have decided to establish a Working Group for Enhancing Cooperation on Low Carbon Development between Guangdong and California in order to strengthen liaison and communication and negotiate specifics of cooperation on a regular basis. The Working Group from Guangdong is composed of the Guangdong Provincial Development and Reform Commission, Guangdong Provincial Economic and Information Commission, Guangdong Provincial Science and Technology Department, Guangdong Provincial Finance Department, Guangdong Provincial Housing and Urban-Rural Development Department, Guangdong Provincial Transportation Department and Guangdong Provincial Foreign Affairs Office. The Working Group from California is composed of the California Environmental Protection Agency, California Air Resources Board, California Energy Commission and California Public Utilities Commission. 2. The Government of Guangdong Province and the Government of the State of California respectively designate the Guangdong Provincial Development and Reform Commission and the California Environmental Protection Agency as the Executive Agencies responsible for coordinating the implementation of relevant cooperation activities between Guangdong and California. 3. During the period of validity of this MOU, the Executive Agencies shall report on the progress of cooperation to the Governor of Guangdong Province and the Governor of the State of California once a year and improve the cooperation plans based on their suggestions. 4. As appropriate, the Parties will utilize third party organizations that are agreed upon by both parties to assist with the implementation of this MOU. These third party organizations, under the direction of the Parties, will help to coordinate information exchange, activities, travel delegations and collaboration between the Participants. These organizations will also explore funding sources to enable travel and other forms of collaboration between the Participants. 5. All activities carried out based on the MOU must abide by the Participants’ respective laws, rules and regulations and should be decided by funds, people and other resources available. Data and other information related to China and Guangdong Province’s greenhouse gas emissions cannot be shared. 1. The Participants have decided that any disagreement arising from the implementation of this MOU be settled over amicable discussion. 2. This MOU is valid for two years upon the date of signature. The MOU may be extended and modified with the mutual consent of the Participants. 3. This MOU may be terminated by either party with a written statement to the other. After the termination of the MOU, the Participants must take necessary measures to conclude the ongoing activities in a swift and appropriate manner. 4. Based on amicable negotiation by the Participants, cooperation items for the near term will be listed in attachments and specific cooperation is not limited to the listed items. 5. This MOU is signed in Guangzhou City, Guangdong Province, on April 15, 2013. This MOU shall be provided in two copies in both English and Chinese. Each party holds one copy and the two copies are equally authentic. “I want to create more partnerships among business, in agriculture and technology, in hotels and tourism. 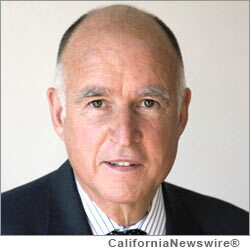 Any way that the people of Guangdong can collaborate with Californians, I’m going to encourage that,” said Governor Brown.